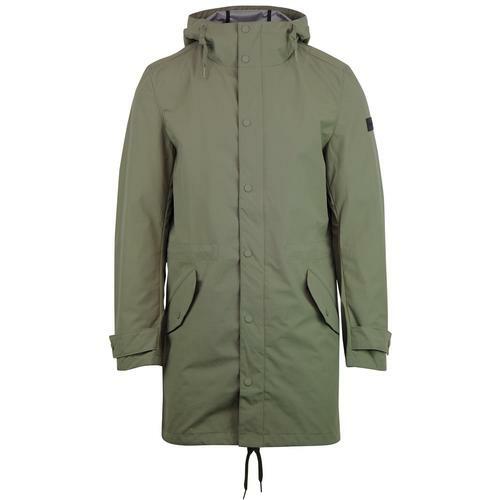 Alpha Industries Men's classic Mod Hooded Fishtail Parka Jacket in replica blue. 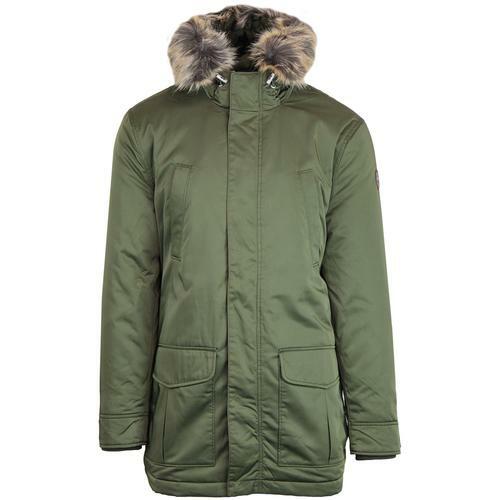 All the traits of a traditional 1960s Mod fishtail parka, but with a lightweight nylon shell and minus the fur. The exquisite contrast stitch rep grey onion quilt lining adds a cool Indie kick to this revised military style. 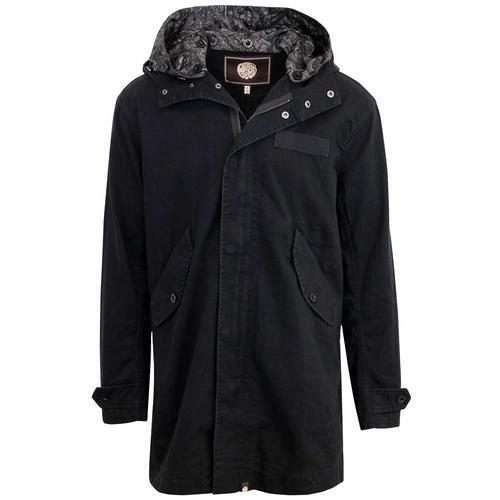 Retro drawstring details, snap back fishtail hem, flap pockets, button tab cuffs and classic hood are all typical of the Alpha Industries Mod Fishtail parka style. The Retro zip pocket sleeve detail is reminiscent of the classic Mod Revival bomber jacket ad a neat twist to the traditional parka silhouette. The jacket features zip through fastening with snap fasten overplacket. 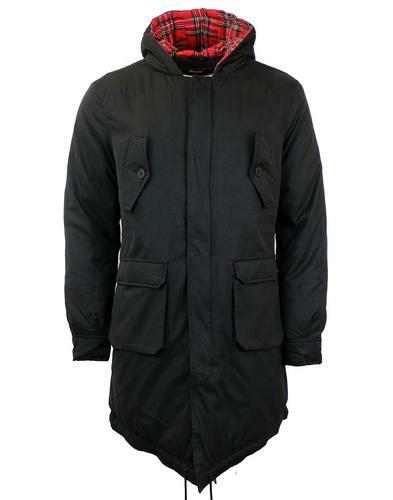 Inspired by Alpha Industries classic M65 parka style, this Hooded Fishtail is packed with utilitarian style and a surefire Mod edge. 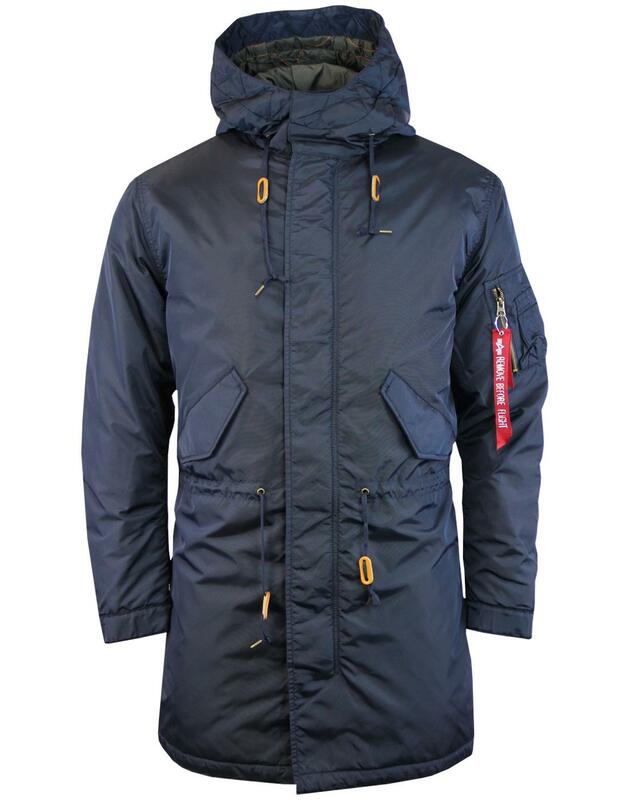 - Alpha Industries men's mod hooded fishtail parka jacket in replica blue. - Grey retro onion quilt lining with contrast orange stitch. - Retro drawstring details to hem, waist and hood. - Mod blouson bomber sleeves with pocket detail to left side. - Zip through wit snap fasten over placket. 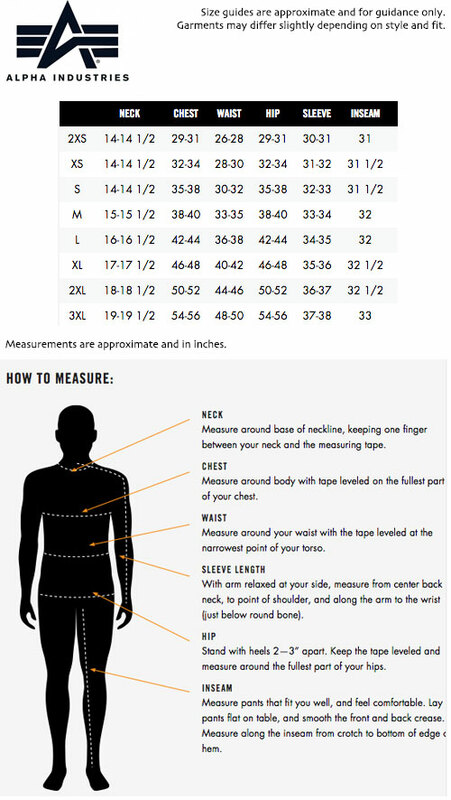 - Fishtail hem that can be fastened inside the jacket via snap studs if desired. - Flap pockets to sides. - SKU: 178111 Hooded Fishtail Parka. Composition: Shell and lining: 100% nylon. Quilting: 100% polyester.